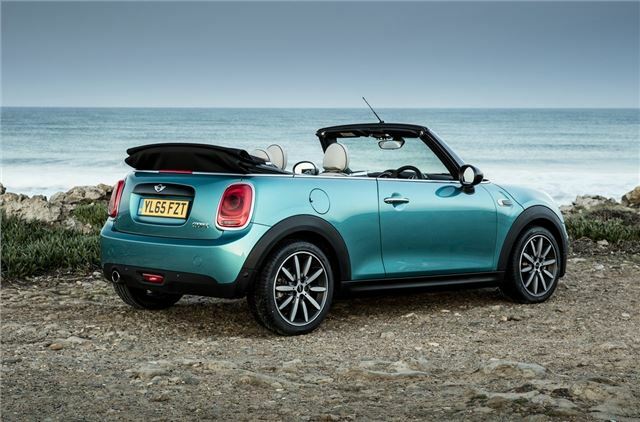 Four seats and a true convertible roof. Fun to drive. Good range of engines. Creaky roof. Back seats are small. Gusty cabin with top down. Options can push up price. 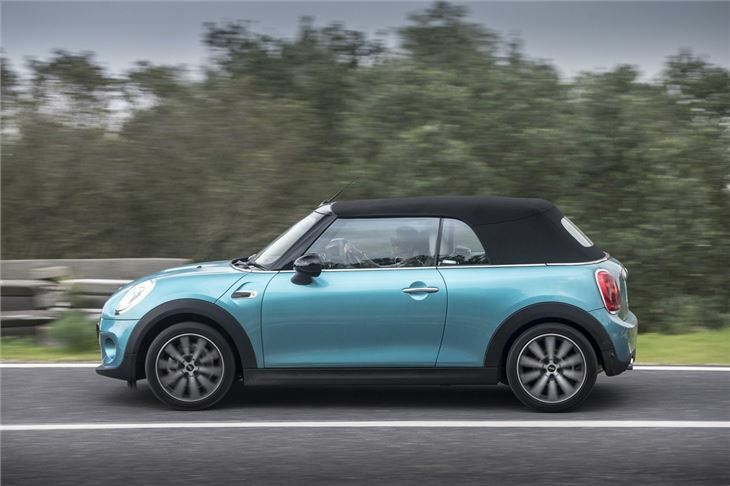 The MINI Convertible is actually a unique car. Why? Well it has a fully-retractable roof and a pair of rear seats. 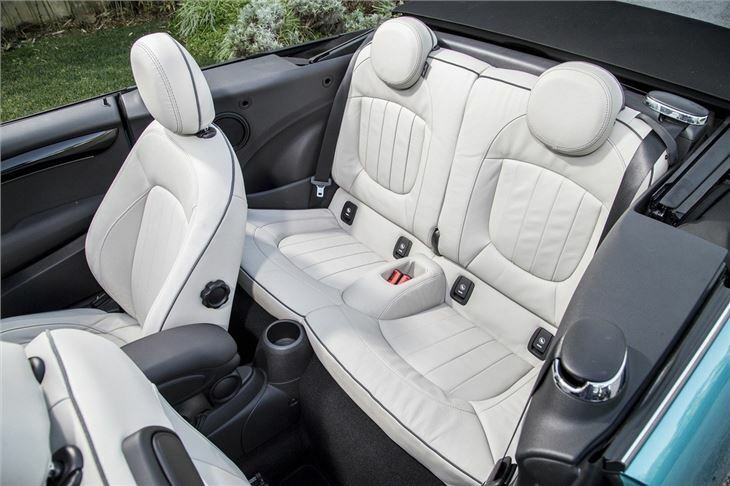 The competition either have glorified, large sunroofs or, in the case of the Mazda MX-5, two fewer seats. 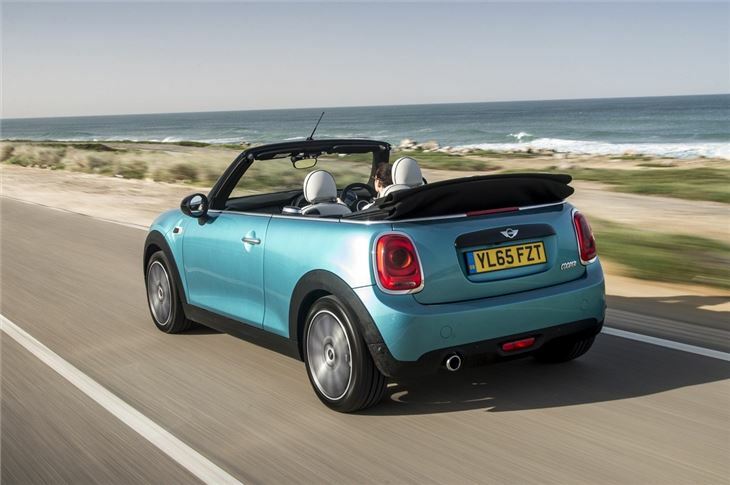 Sadly, the MINI Convertible isn’t without its flaws, but that doesn't stop it being charming and likeable. The fabric roof can be put up or down at up to 20mph and takes a 18 seconds, so it’s possible to raise it at a set of traffic lights if you get caught in the rain. With the roof down there’s a bit of bluster, but that’s all part of the experience - as is the fun handling, which is typical of all MINIs. 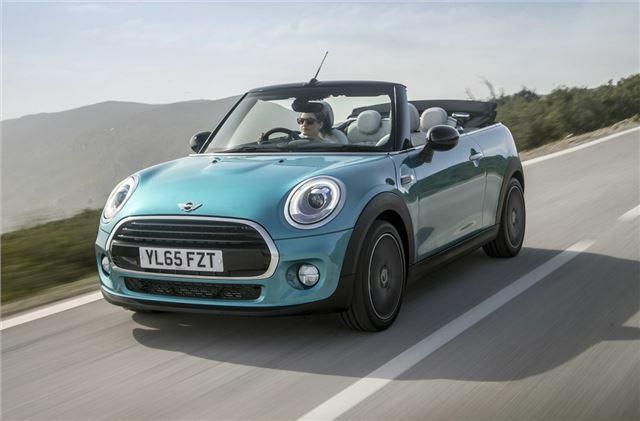 There are four engine options – Cooper, Cooper S, Cooper D and John Cooper Works. 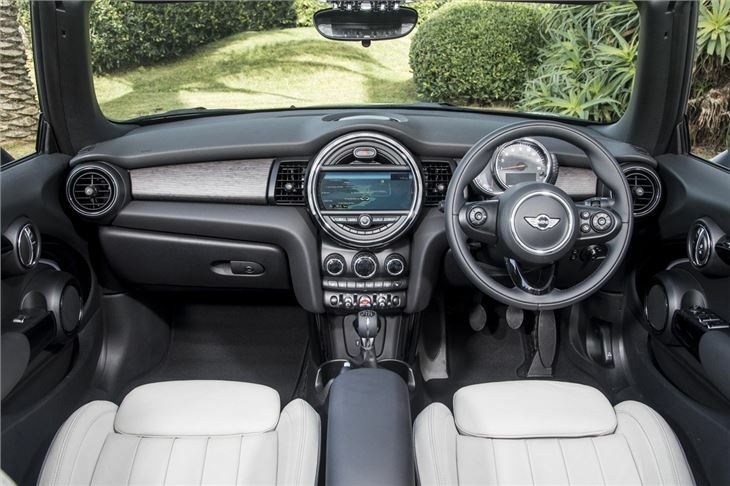 For most buyers the Cooper and Cooper D models will work perfectly fine, delivering punchy performance and affordable running costs. The Cooper S and JCW models are much more potent, with popping, burbling exhausts and quick acceleration. Through corners the MINI Convertible is precise and nimble, with quick, well-weighted steering. That said, you can tell it’s less rigid than the hatchback – the body flexes a little over lumps and bumps. That is especially obvious with the roof up, since there are lots of creaks and rattles on rough roads or when tackling bends. That’s a problem that doesn’t blight the excellent Mazda MX-5, which is more fun. But the Mazda has two fewer seats than the MINI. Those seats may be small, but for younger children they’re fine. They’re nicely trimmed, too – like the rest of the cabin, which feels upmarket and is packed with fun touches, like a toggle switch engine starter. Boot space is sufficient for the average weekly shop or a trip away. The tailgate drops down and can be used as a picnic table when out and about, while part of the fabric roof can be lifted up to provide better access for loading and unloading. The seats fold, too – so fairly bulky items can be loaded without too much difficulty. 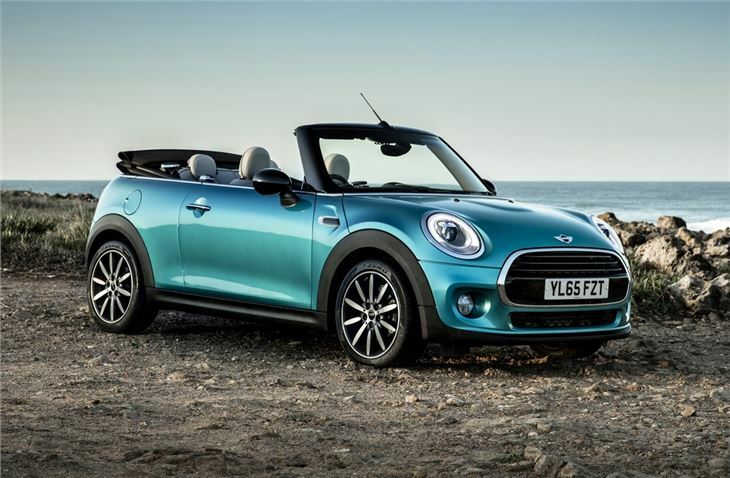 If you want real fun then a Mazda MX-5 or Fiat 124 is a better choice of soft top, but the MINI Convertible is a more practical choice that’s still enjoyable. It’s a true convertible, too, unlike the Fiat 500C and the DS 3 Cabriolet, plus there are dozens of customisation options and details to make it your own. Massive improvement over previous model. Feels like a grown up car, but possibly a little clinical:?